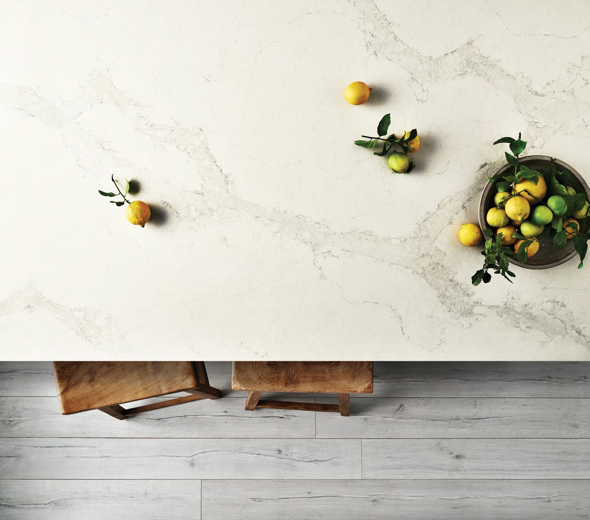 The latest addition to Caesarstone’s range – Calacatta Nuvo is now available in South Africa. This recent design offers the look of luxurious natural stone with the durability and ease of maintenance that Caesarstone quartz surfaces are renowned for. The terms Carrara and Calacatta marble tend to be used interchangeably because both are very similar in appearance: white with gray veining. To add to the confusion, much of Calacatta comes from Carrara, Italy. 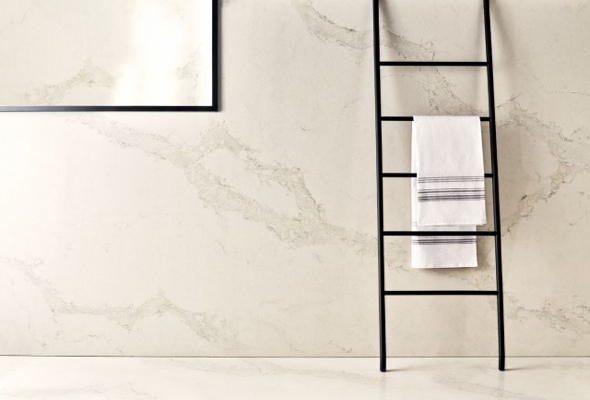 In general, Carrara tends to be grayer with softer veining, while Calacatta is whiter with bolder more dramatic veining. Caesarstone’s interpretation of natural Calacatta marble brings wide, elegant, cascading grey veins on a light grey base. Available in 20mm thickness it is perfect for vanity countertops and splashbacks while its luxurious design also makes it ideal for special features and cabinet cladding. Shown for the first time at Milan Design Week earlier this year, Calacatta Nuvo works beautifully with a range of complimentary materials including crisp, modern white cabinets, stainless steel and simple wood grains. It brings the classic luxurious marble look to both transitional and traditional bathrooms with its polished gloss surface. “Caesarstone’s low porosity makes it extremely well suited to bathroom wall linings, bath surrounds and benchtop surfaces”, says the company.